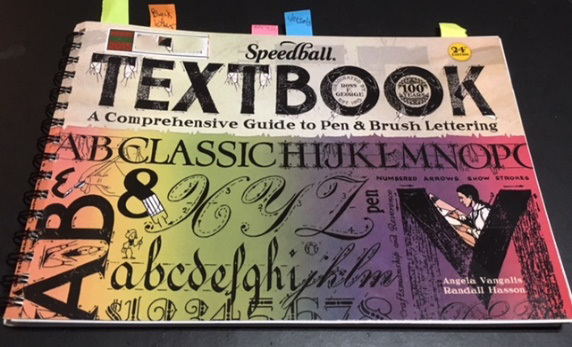 Angie Vangalis with the Texas Lettering Arts Council will present the November program on the Centennial Edition of the Speedball Textbook which was published in 2015. The textbook was originally created to introduce the newly invented Speedball pen in 1915. The Speedball Textbook is unique in its prominence, distribution, and popularity; artists in many diverse fields routinely credit it as their "first lettering book.” Angie has directed two international calligraphy conferences in Dallas (2005 and 2014) and is currently an organizer of several calligraphy events. She will bring extra copies if you wish to purchase a signed one from her. So looking forward for the November program and I would love to know more about Speedball Textbook. Keep sharing more stuff and updates here.